In response to the recent naming of former Congressman and current ORP State Central Committeeman Bob McEwen as spokesman of the Ohio Republican Party (ORP) for the 2012 election, the below letter is being sent to ORP Interim Chairman Bob Bennett voicing our concerns and objections over this intellectually vacuous and questionable appointment. In light of your recent comments in which you stated former Congressman Bob McEwen would be named as Spokesman for the Ohio Republican Party during the 2012 election cycle, accordingly, we feel the need to respond and share our concerns. Considering his past role in the House Banking Scandal and past voting indiscretions, we believe the decision to name former Congressman and current ORP State Central Committeeman Bob McEwen as spokesman to be sorely lacking in political judgment and respectfully request this decision be rescinded or reconsidered. While volunteers and Tea Party members across the state fan out in our GOTV efforts promoting our conservative values, voter integrity, and the need for integrity in our elected officials, the appointment of Congressman McEwen flies in the face of good judgment; an individual who can be attacked for having violated the public trust is a poor choice for a political party spokesman. We know all too well how President Obama will do everything possible to deflect attention from his 4 years of policies that have failed this state and our country. It is incumbent on the Ohio Republican Party to remain vigilant in making sure they do not willfully arm the left with endless political fodder with actions like this leading up to the all-important 2012 election. In closing, we look forward to your written response to this request in a timely manner, and we want to thank you for giving our correspondence your immediate and undivided attention. After speaking with many of the Tea Party & Liberty group members and Coordinators across Ohio, we have yet to find anyone that supports the decision to name McEwen as ORP Spokesman for the 2012 election. After learning of former Congressman McEwen's role in the House Banking Scandal, past voting scandals and, past work as a high-powered lobbyist, the reaction has ranged from disbelief to disgust. For the record, we do believe in forgiveness and that people can change. We applaud former Congressman McEwen for acknowledging, accepting and learning from his past mistakes. And we believe that the role and work he is currently doing on the ORP State Central Committee is where his experience would best serve the conservative movement during this election cycle. Former Congressman McEwen surely recognizes the liabilities that his being ORP spokesman would bring and, how it will surely diminish any chances of conservative success in 2012. If former Congressman McEwen has truly learned from his past mistakes and is a changed person, and in light of what the future of our nation faces in this upcoming election, Congressman McEwen would do the right thing by putting country first and reconsider his taking on this role as ORP Spokesman. President Obama & the Democrats' "War on Children"
President Obama and the Democrats are doing their best to manipulate their attack on our religious freedoms and have it redefined as a conservative "War on Women". While President Obama and the left will ask you to suspend all reality to believe their predetermined pagan prose, we want to share some facts as to "who" is really conducting a so-called war and point out "who" the victims are and the atrocities to be faced by future generations. So if conservatives are conducting a "War on Women" then it is clear and indisputable that President Obama and his fellow Democrats on the left are conducting a "War on Children". And under President Obama's continued spending sprees, our debt continues to grow by leaps and bounds. 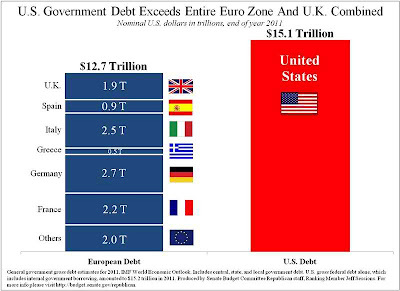 To date, according to the CBO's Long Term Budget Outlook, as they continue their onslaught of spending, our debt rises like mushroom clouds over the battlefield of life that will in effect make our future generations POW's of government debt. In this Democrat driven "War on Children" a 16 yr old High School student, not even yet old enough to vote, will be shackled & chained with a minimum $870,000 of government debt. 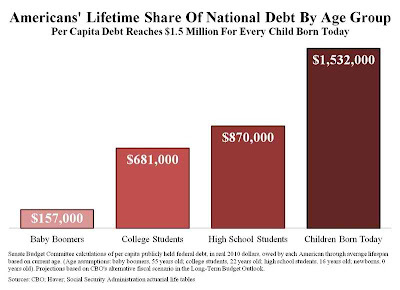 A child born today, through no fault of his own and only because of President Obama & the Democrats spending their future away, will be figuratively water boarded with over $1.5 Million of government debt. Expecting or future Mom's, well.... as the spending grows and our mushroom cloud of debt rises beyond the heaven's, your God's little bundles of joy can look forward to a lifetime of government subjugation at the Guantanamo Bay of life as they are forced to labor off their portion of the government debt from President Obama and the Democrats "War on Children". While maybe not sounding or seeming as important, pressing or appealing as some of the other bills in the Ohio legislature, you can be sure HB 380 is equally important as it is a much needed step in reforming some of the judicial process in our state. HB 380 will, "enact sections 2307.951, 2307.952, 2307.953, and 2307.954 of the Revised Code to require claimants in asbestos tort actions to make certain disclosures pertaining to asbestos trust claims that have been submitted to asbestos trust entities for the purpose of compensating the claimant for asbestos exposure." (HB 380). In short, by enacting safeguard's against frivolous lawsuits, the unfair practice of double-dipping, inconsistent claims, incorrect and fraudulently obtained a award payments and unscrupulous attorney's, HB 380 will promote integrity, uniformity, fairness and transparency for asbestos related litigation in Ohio. By enacting these safeguard's, HB 380 will also assure the funds from the asbestos trusts are serving the intended purpose of aiding and compensating individuals affected by legitimate work related asbestos illnesses. Currently, Cuyahoga County is the only court jurisdiction that requires claimants to notify defendants of any other work related asbestos litigation. HB 380 will require claimants to identify, "all existing asbestos trust claims made by or on behalf of the claimant and all trust claims material pertaining to each identified asbestos trust claim." "Because the trusts operate opaquely and make little effort to compare their claims amongst each other or to claims made in the tort system, the trust system is fertile ground for inequity," he told the Senate committee. "While involved in trust governance," he informed the committee, "plaintiffs' attorneys are also actively engaged in soliciting trusts claims through television and Internet advertising, filing trust claims, and receiving contingent fees from trusts' payments." "Abuse of the trust process has the potential to impact both defendants and bankruptcy trusts, as starkly demonstrated in the Ohio case of Kananian v. Lorillard Tobacco Co.," Behrens told the senators. "As I'm sure you're aware, in that case, Judge Harry Hanna barred a prominent California asbestos personal injury law firm from practicing before his court after he found that the firm and one of its partners failed to abide by the rules of the court proscribing dishonesty, fraud, deceit, and misrepresentation. "Judge Hanna's ruling received national attention for exposing 'one of the darker corners of tort abuse' in asbestos litigation: inconsistencies between allegations made in open court and those submitted to trusts set up by bankrupt companies to pay asbestos-related claims." Behrens also cited a report from a company where out of 255 randomly sampled claims against an asbestos trust, only 19 had disclosed their exposure to asbestos. And Behrens noted in another case, after continued foot dragging by a plaintiff's legal counsel to comply with numerous requests for discovery, of nine (9) other trust claims showing conflicting exposure periods and discrepancies in legal positions taken between the courts and the trusts. The funds in the asbestos trusts must be protected and used to compensate those who truly and unfortunately deserve them, not to pad the pockets of less than desirable ambulance chasing attorneys and individuals trying to game the system. It is only through the transparency enacted through HB 380 that you can help stop these abuses. To keep track of the status and results of your calls, please click here to fill out the HB 380 Contact Form to record the response of your call(s) to the above State Senator's offices. Now is the time for all good tea partiers to come to the aid of Wisconsin. . . .
New poll data released on Tuesday show two potential Democratic rivals neck and neck with Walker. Wisconsin politicos tell me his national name recognition has bolstered public awareness and fundraising efforts. He’s currently sitting on a $5 million war chest. Walker supporters believe the Big Labor-fueled fight will be dirty, but with vigilant backing, he’ll survive. The outlook for the unhinged Left’s secondary targets, however, is not so bright. Lt. Gov. Rebecca Kleefisch, a tea party candidate who is not part of the GOP establishment, is being treated as collateral damage by the party. Outside of Wisconsin, most conservative activists are not even aware that she may be booted from office for simply doing her job. Kleefisch told me that on a recent fundraising swing in D.C., national GOP leaders were shocked to learn of her plight. Governor Walker has left the far Left unhinged, so he’s had to amass a war chest to fend off the lies and dirty dealings in the capitol; and, thankfully, it’s predicted he’ll survive his recall. But the recall fight that is just as important is Lt. Governor Rebecca Kleefisch’s. Please click this link to help her. Malkin’s column reports on some of the smear tactics against the Lt. Gov., but you’ll need a strong stomach. In response to the unions' and Democrats' efforts to derail the Walker agenda through the recalls, we created, in partnership with another Wisconsin group and a Texas group, the Verify the Recall online effort. This project was created to provide citizens a method of participating in the recall process and to ensure clean elections. …We no longer trust government agencies to carry out their tasks without bias. Conservatives believe that protecting Walker translates into protecting the conservative agenda and movement. … Lose Walker and his momentum, and the unions and socialism reign supreme; protect Walker, and treat it as a public mandate to forge ahead. Since the 2010 elections, two key developments have changed the relationship between the Tea Party and the GOP: attempts by local groups to 'take over' their county GOP chapters—either amicably or hostilely—and counter-attempts by the GOP to co-opt the local groups. A showdown is inevitable. . . . The lack of an acceptable conservative presidential candidate appears to be, in the eyes of the media, a reflection on the strength of the Tea Party and is therefore a failure of the Tea Party and yet another harbinger of the movement's demise. In Wisconsin, several groups, ours included, have written off the presidential race to focus on the all-important open U.S. Senate seat and the ongoing recall efforts. 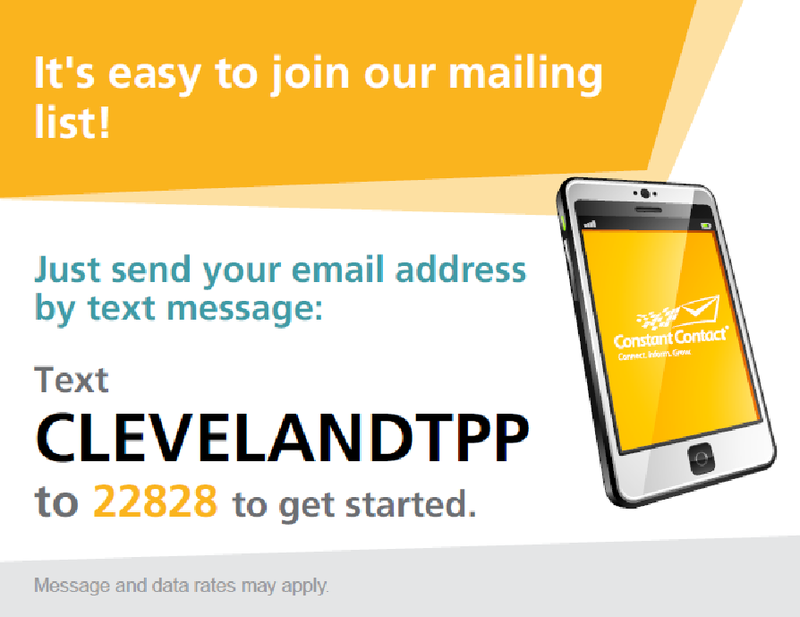 Some Ohio Tea Party Patriots may likewise be discouraged about the candidates running for President, but that doesn’t mean we’re not planning on major efforts to Get Out The Vote, for all races -- federal, state, and local. 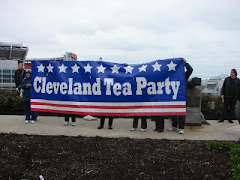 And a top priority for Cleveland Tea Party Patriots is to make sure that Sen. Sherrod Brown and Pres. Obama are held to account – based on their record in office. Please join us on April 21, 2012 at the West Chester, Ohio office of Speaker of the House John Boehner for a candle light vigil to “shine a light” on America’s illegal immigration issues and concerns. Speaker Boehner and U.S. House Leadership have been silent in addressing American’s concerns about illegal immigration, E-Verify and the resulting economic impact on citizens across the nation. The current unemployment rate is 8.3% nationally and there are 8 million illegal workers employed in U.S.
Why are there illegal aliens with jobs that are sorely needed and deserved by U.S. citizens? Why are illegal aliens receiving taxpayer supported benefits while unemployed citizens are struggling? Why are big business and agricultural special interest groups afforded the opportunity to voice their wants to the Speaker while concerned citizens are still waiting to be heard? This is our opportunity to be seen and heard. Your presence and participation is needed to send a message of patriotism and solidarity. 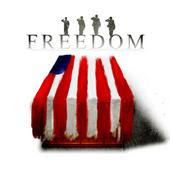 Each candle that is lit that evening will represent you, your family and friends and millions of concerned citizens across the United States of America. Please take the time to join us and bring someone with you! This peaceful demonstration of unity and concern will not go unnoticed and your presence is vital!